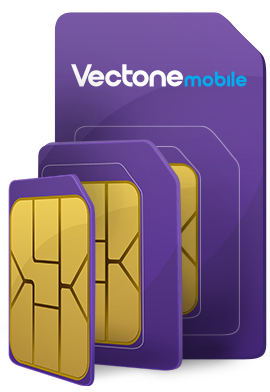 Vectone Mobile is a flagship brand of Mundio Mobile - Europe’s first full MVNO, headquartered in London’s Canary Wharf, at the hub of international business and world commerce. Our office overlooks the tranquil water of South Quay dock, which provides a great contrast to the dynamic pace of our business, where we are constantly developing a range of fresh products waiting to be launched. With over 15 years’ experience in the fast-moving telecoms sector, we provide high-quality mobile communication services to users in the UK, France, the Netherlands, Austria and Belgium. With a customer base of over five million customers who use Vectone Mobile to keep in touch with their friends and family in Belgium and abroad, we take pride in our unparalleled, extensive knowledge of our target market. What makes us different from our competitors is the constant effort we make in ensuring low tariff for both local and international communication. We also provide unique features such as Landline-On-Mobile, 2 Countries 1 SIM, along with some attractive offers to our customers. Vectone Mobile is built on visionary ideas, realised and implemented by a dedicated multicultural team who love the work they do. Moving forward, we will continue to work towards our unanimous vision of launching into many other countries and thus, enabling more and more people to connect to their loved ones for less.